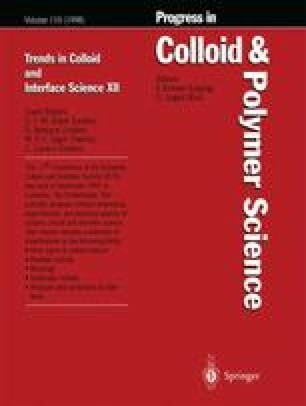 A mathematical model of the growth and the evolution of internal structure of a separate aggregate in a diluted colloid has been developed. The model includes the aggregation kinetic equation and a mass transfer equation, describing the diffusional transport of a colloidal particles to the aggregate. The attachment of single particles to the aggregate skeleton has been described on the basis of coexisting into penetrating media conception and with the help of the non-linear mass exchange terms in the diffusion equation. The self-similar solution of the model and the aggregate growth rate have been obtained under the condition of a slow aggregate growth. The aggregate structure resembles a fractal cluster and the aggregate growth is described by a classical kinetic-limited growth rate.